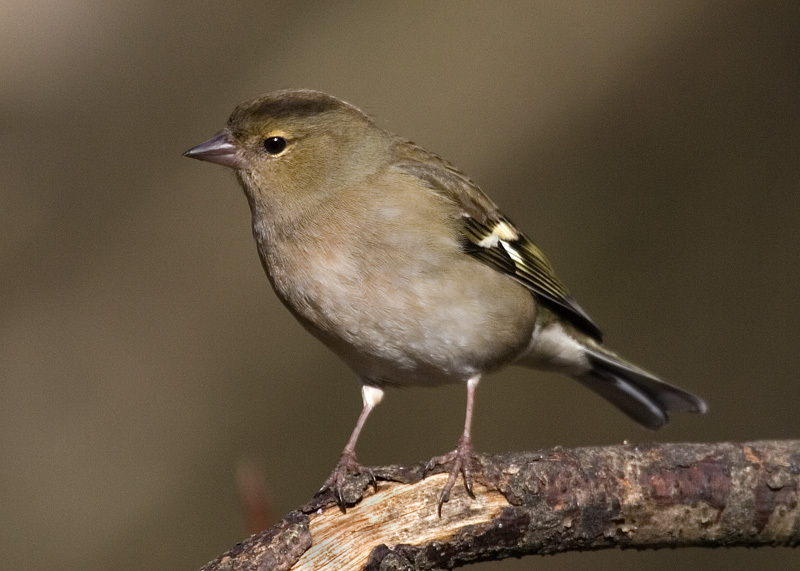 I seem to have photographed a lot of male Chaffinches while in the hide so a female was a welcome change. Hand held shot with 100mm-400mm lens at 400mm, plus Canon multiplyer of 1.6. I have taken advice from one of the comments and re worked the image from the original RAW file changing the exposure slightly. Very nice picture ,with good DOF also very sharp.I like the POV. Now thats better having got rid of the burnt out bits on its chest and the branch, Now made an excellent picture. Nice detail and just about sharp enough on the eye at this size. though I think the point of focus is just in front of the eye, just under the neck is where it looks sharpest. Background a little grainy? Maybe something like Neat Image would sort that out (www.neatimage.com).